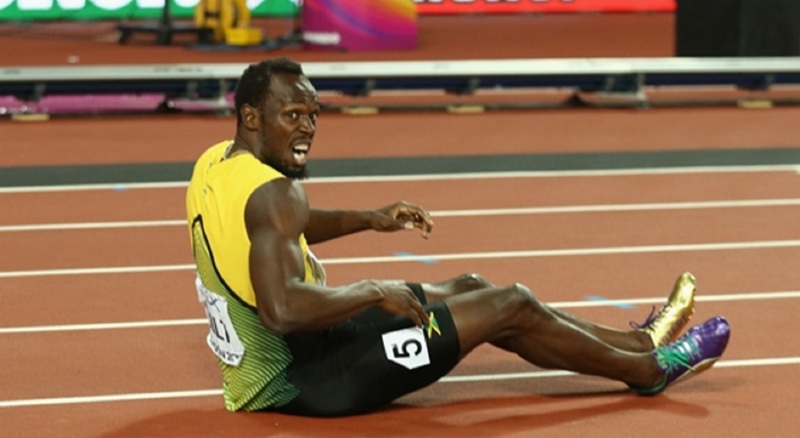 Usain Bolt sits on the track after pulling up injured. Jamaican sprinting legend Usain Bolt has revealed he suffered a torn hamstring during the IAAF World Championships 4x100-metre relay - his final race at a major event. Bolt had hoped to bow out in London with two more gold medals to take his Worlds tally to 13, but his competition ended in disappointment. 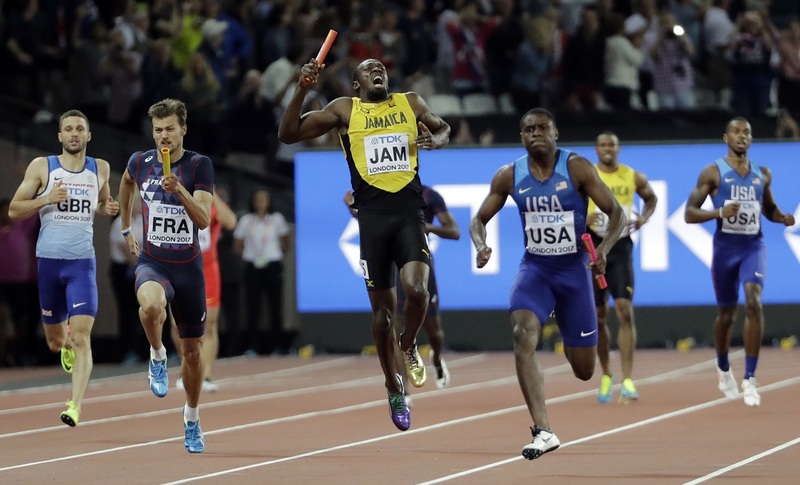 Having finished third in the 100m behind Americans Justin Gatlin and Christian Coleman to lose his individual crown, the Jamaican then pulled up running the last leg of the relay on August 12 and was unable to finish. 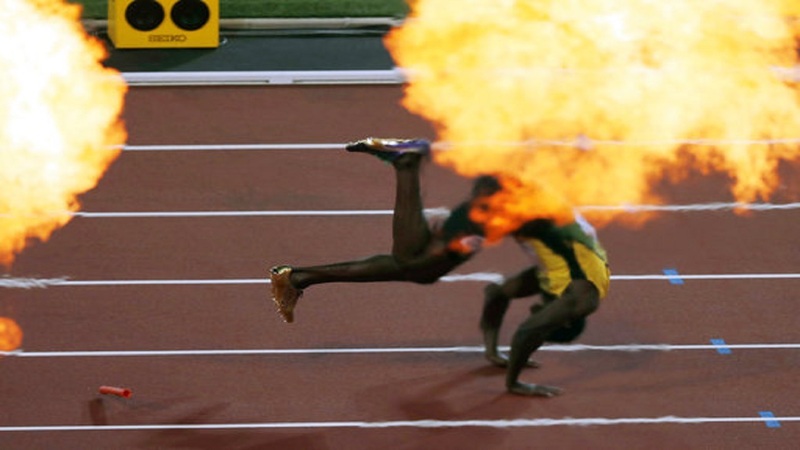 Initially cramp was blamed for his early exit but Bolt has confirmed it was more serious, before lashing out at critics who had questioned the extent of his injury. "Sadly I have a tear of the proximal myotendinous junction of biceps femoris in my left hamstring with partial retraction. Three months rehab," the eight-time Olympic champion posted on Twitter along with an x-ray of his leg, the first of four messages which were all subsequently deleted. "I don't usually release my medical report to the public but sadly I have sat and listened to people questioning if I was really injured. "I have never been one to cheat my fans in anyway and my entire desire at the championship was [to] run one last time for my fans. "Thanks for the continued to support my fans and I rest, heal and move onto the next chapter of my life."